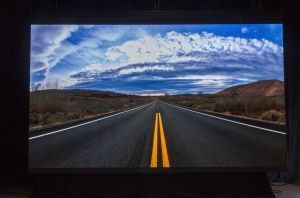 NanoLumens has debuted another generation of NanoSlim Engage display solution with an 1.8MM iteration. The NanoSlim Engage solution in action. The NanoSlim Engage visualization solution is able to be front-installed and front-serviced. The visualization solution comes backed by an six-year warranty and is designed for up-close viewing. The 1.8MM pixel pitch version of NanoSlim Engage provides clarity and brilliance tight pixel pitch.